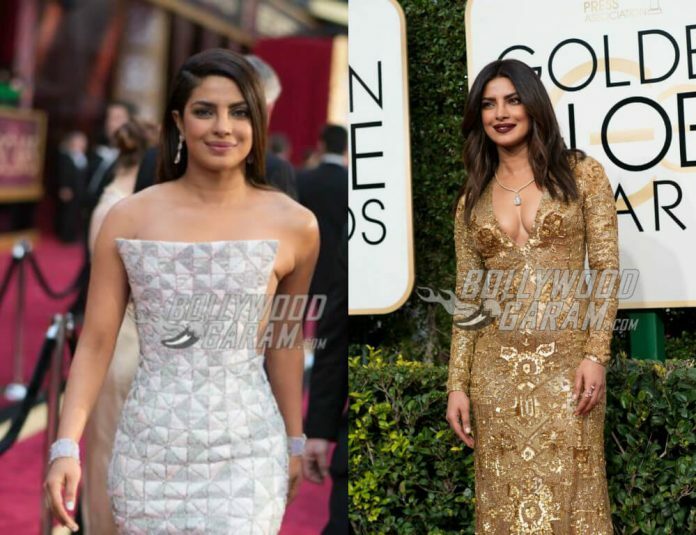 Priyanka Chopra is the 2nd most beautiful woman, beats Angelina Jolie, Gigi Hadid! Home Actresses Priyanka Chopra is the second most beautiful woman in the world! Priyanka Chopra is the second most beautiful woman in the world! It’s happy times for Priyanka Chopra. This international star is definitely enjoying all the attention and appreciation for her performance in hit series Quantico and has recently been in news for her Hollywood debut movie, Baywatch. But that’s not all. Adding on the list of accolades of this actress-singer-producer, Priyanka has also been voted the second most beautiful woman in the world in Buzznet’s 2017 list! The Quantico star received a huge number of votes in a poll conducted by Buzznet and was beaten to the first spot by none other than singing sensation Beyoncé! Priyanka Chopra beat the likes of Angelina Jolie, Emma Watson, Gigi Hadid, Blake Lively and Emma Stone to grab the second position. The most interesting part about this poll is that both women who topped the list are off color. Says something about changing perceptions, right? The 34 year old international star, Priyanka Chopra took to her Twitter account to thank all her fans for voting. Earlier, Miss India 2000 Priyanka Chopra was also recognized at the hottest person in the world by Maxim India. She has worked hard to be where she is today and her journey from Bollywood to Hollywood has a high benchmark for others to follow. Priyanka is currently gearing up for shooting for Quantico 3 and rumor has it that she will soon be seen in a woman centric Bollywood movie this year, though no official confirmation has been made yet. On the list of LA based photo journal, Victoria’s secret angel Taylor Hill is third, followed by Angelina Jolie on number eight, Emma Stone on number 12, supermodel Gigi Hadid on number 13 and former first lady of US Michelle Obama grabbed the twenty first position. The list by Buzznet includes 30 women and also features Wonder Woman Gal Gadot, Oprah Winfrey, Naomi Campbell, Alicia Vikander, Margot Robbie, and Alexandra Daddario of Baywatch fame. Previous articleNach Baliye 8 recap: First episode finally aired last night!